The Cameo Dressing table is in a shaker style and is a perfect addition to any bedroom or dressing room. The stone white lacquered finish gives a clean classic look and can be matched with any decor. There are 4 small drawers to one side with a small drawer and cupboard to the other. All the drawers and cupboard feature ergonomic handles and pull out very smoothly on the runners. The legs are accentuated by the curved panels on all four sides. There is a support that helps keep the whole unit stable and the top surface is one complete piece of wood. Тhe Cameo Dressing table is supplied flat pack but is easy to assemble using the instructions provided. 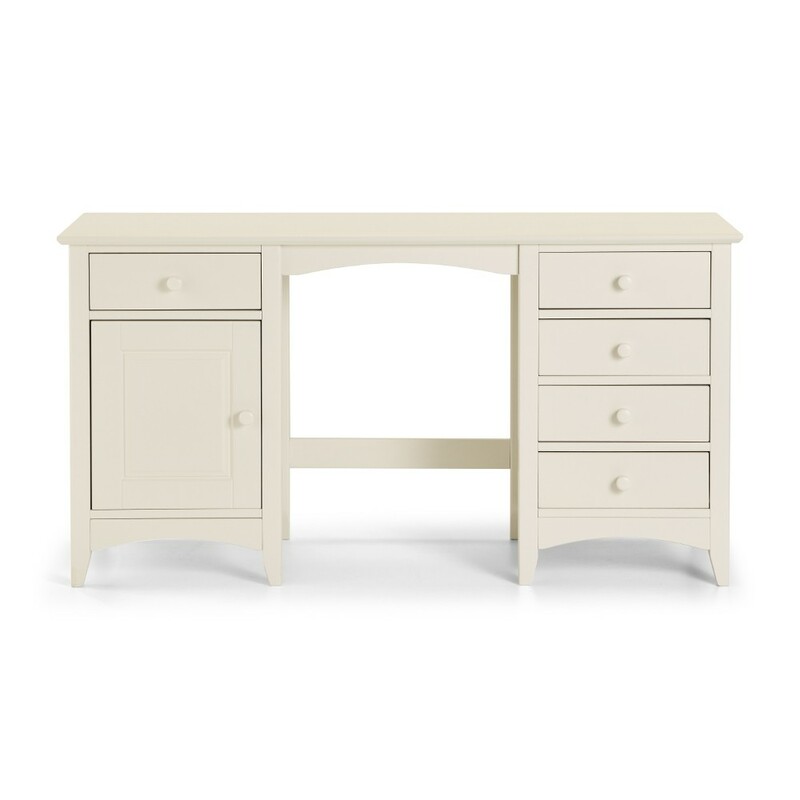 The Cameo Stone White Dressing Table is part of the Cameo Nursery, Cameo Children's and Cameo Bedroom Collections.